While we have supplied timber for the Melbourne Convention Centre, Sydney Water building and the Wollongong University, we have also supplied many and varied domestic and small scale projects. 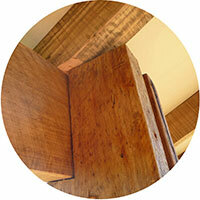 Our timbers are some of the most beautiful and resilient timbers in the world. They can be used for their natural beauty and durability alone or to compliment other building materials. Either way, when you use our FSC certified timber you are helping rehabilitate the health and integrity of native forests. The majority of our timber species are either Class 1 or Class 2 durability and can be used in a full range of outdoor applications. When using timber indoors the timber durability class is not as important. Instead the colour tones and physical properties of the timbers such as its density and its hardness become paramount. Density and hardness are particularly important in flooring applications due to their superior longevity. Decking and cladding timbers can either be coated with oils to retain their natural colours and enhance their longevity, or they can be allowed to age gracefully and ‘silver off’. Click here to find out more about timber colours and durability. Please contact us for up to date pricing and to discuss lead times for on-time delivery. Our timbers are the perfect material for enduring the harsh conditions on your deck. Eco-eeze Decking is a new product we have developed to maximise the use of our trees. This product is made of boards that are seamlessly joined together to make set lengths up to 7.2m long. 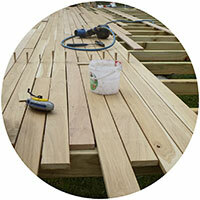 Eco-eeze Decking is quicker to install and you are also helping to save our forests through less waste. Standard decking is supplied as random lengths, while Eco-eeze Decking is supplied in set-length boards to your requirements. Both are 19mm deep and can be supplied in 64mm, 86mm or 135mm widths. 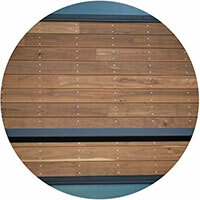 For external decks exposed to the weather we recommend the use of durability Class 1 species. For covered decks, Class 2 durability species can be used. Click here for information on the durability and colour range of our timbers. Our premium Class 1 durability timbers are the perfect material for enduring the harsh environment that timber cladding is subjected to. Our Eco-eeze cladding, made of boards seamlessly joined together to make set lengths up to 7.2m long, increase the speed of installation and help to save our forests through less waste. Our standard cladding is supplied as random lengths, while Eco-eeze cladding is supplied in set-length boards to suit your needs. They are 19mm deep and can be supplied in 60mm, 80mm or 130mm widths. Due to the harsh conditions that cladding is exposed to we recommend that only durability Class 1 species are used. Click here for information on the durability and colour range of our timbers. Timber floors bring the warmth and natural beauty of our unique forests into your home. 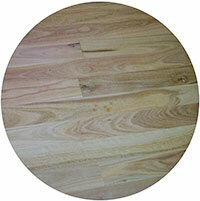 Australian Sustainable Timbers’ flooring comes in colours to compliment any design or style of house. Click here for information on the colour range of our timbers. Traditional solid timber is finished 19mm thick and is traditionally laid over joists and bearers. It comes in a secret nail profile for a nail free finish and is available in either random length or in our Eco-eeze set length boards (up to 7.2m long). Eco-eeze set length boards are quicker to install and help to save our forests through less waste. Order different lengths for different rooms to save time and money (currently only available in 19mm thick traditional flooring). Overlay flooring is a solid timber flooring that finishes 13mm thick. This flooring needs to be laid over an existing substrate such as concrete slabs, particle board (e.g. Yellow Tongue), plywood or even old floor boards. Overlay flooring comes in random lengths only, and has a similar ‘wear profile’ (i.e. thickness from the board’s surface to the tongue) allowing multiply re-sanding and finishing’s through its life. We also stock a range of complimentary products such as stair-treads, skirting boards and hand rails to complement our flooring products. Our standard flooring widths are 60mm, 80mm and 130mm for both traditional and overlay flooring. Timber is a fantastic architectural product as it creates warmth and adds an organic feel to your building project. We have a range of architectural beam and post products available as well as round timber products. Beams are available in either an appearance grade or a structural/building grade (F-rated and Hazard Class). Posts such as verandah posts can be supplied ‘clear of heart’ up to 100 x 100mm. Larger posts (from 150 x 150mm) can only be supplied as ‘Boxed Heart’. ‘Timber rounds’ or ‘poles’ were the first timber building products used in the Australian bush and they are still being used today. 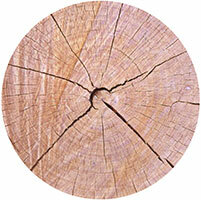 Timber rounds are nature’s perfect building product. From the traditional corrugated iron shed to stock yards and timber fencing, we have the rustic timber rounds for your project. When using timber rounds directly into the ground it is essential to use a Class 1 durable timber species. (See Species page for information on the durability and colour range of our timbers). Click here for information on the durability class of our timbers.